Centered Health & Wellness always appreciates feedback from our valued patients. To date, we’re thrilled to have collected 36 reviews with an average rating of 4.97 out of 5 stars. 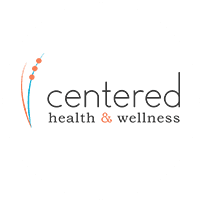 Please read what others are saying about Centered Health & Wellness below, and as always, we would love to collect your feedback. I would recomend center health and wellness to anyone. Doctor corey and his staff are completely great at what they do. I dealt with alot of aches and pain for many years before i learned about center health and wellness. I dealt with shoulder pain and hip pain for many years but after my visits with doctor corey and his well trained staff my shoulders and hips a 100% better. If you have any problems with joints, back pain, or anything center health and wellness is the place to go. Dr Idrogo is very thorough in ensuring every appointment has been helpful, both in pain management and in explaining the necessary steps to target the source of the pain. He and his team seem to genuinely care about the well-being of their patients. This is a unique chiropractoric facility, they focus on fixing root problems rather than just cracking your back and sending you on your way. Fantastic! The Dr. Did a vey thorough exam and answered all questions. Very pleased! Very thorough exam and consultation. Office staff was wonderful and everything was explained in detail. Looking forward to the next visit. Dr Corey and Evan provided excellent care for my sudden neck injury. The in office treatment and at home care regiment will definitely help me heal faster and properly! Dr Corey and his staff are so amazing and I can't wait to get my back into shape. The clinic has a very comfortable setting, making you feel at home. The initial process of observation is very in-depth and very appropriate to help Dr. Corey understand the issue. Dr. Corey listens, is understanding, and explains things very well. I have never been to a chiropractor before and I can't believe I suffered with pain for a decade before going. I'm super excited to feel the outcome of the recovery plan Dr. Corey put together for me. I would recommend this place to anyone! Dr. Idrogo is wonderful. He is patient, thorough, and attentive. Dr. Corey did a great job of explaining his diagnosis, treatment and plans. Evan was very helpful as well. Office is set up very nicely. This is my first chiropractic experience, and I am very impressed. I was very happy with the information Dr Cory gave me.. atleast I know I'm fixable and not a lost cause.. It was a very good experience, comprehensive and thorough yet timely. My son loved his meeting with Dr Idrogo and how ironic that he went through the same small town we are from. I recommend this office to anyone and will gladly spread the word. The atmosphere and staff are amazing. The only place I recommend to anyone.